Hello stampers! 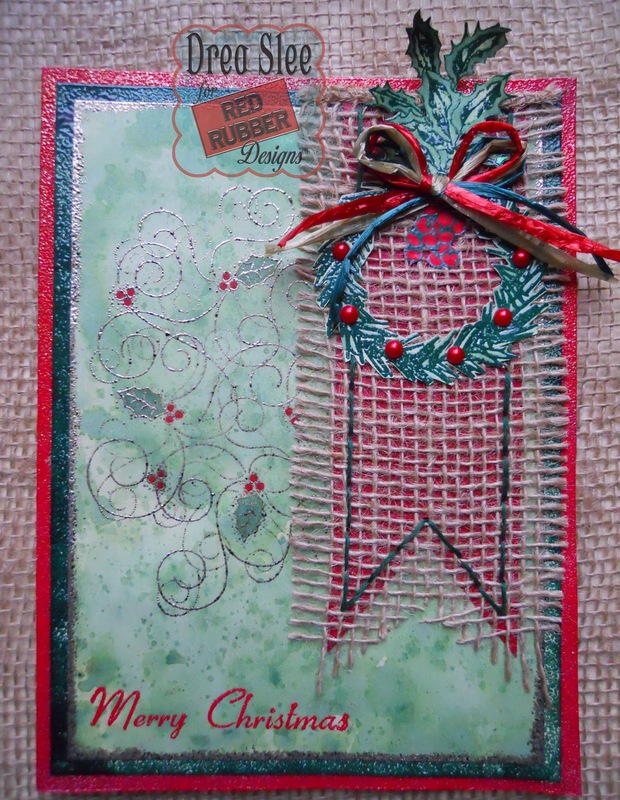 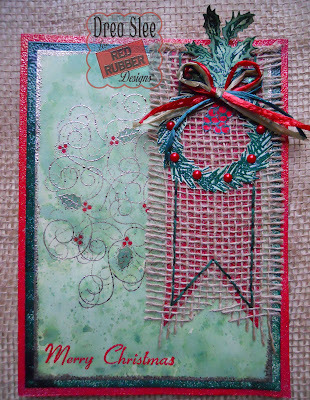 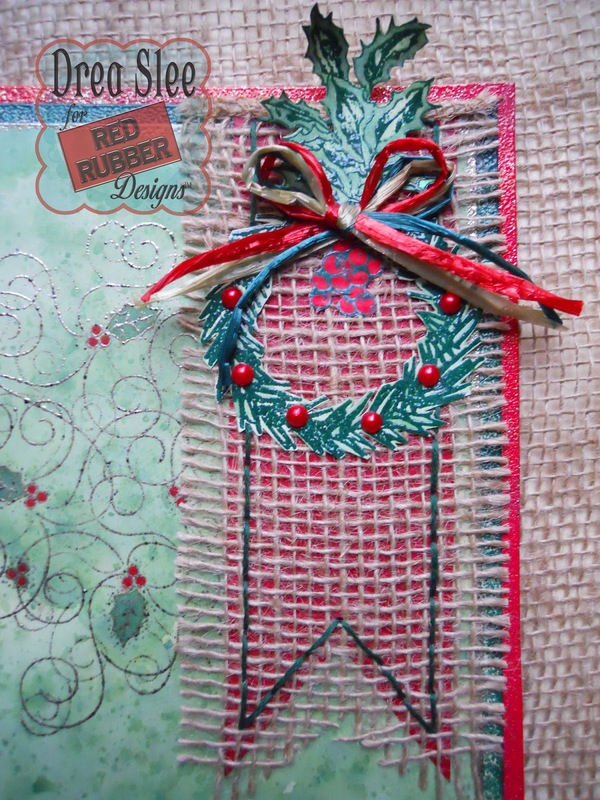 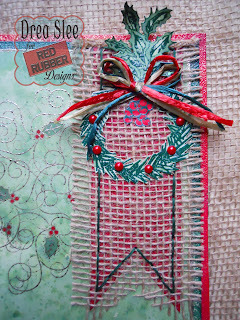 I'm back with the Christmas version of the Thanksgiving Card that I made last month using burlap, adhered again with some hand-stitching, featuring some Unmounted Christmas Rubber Stamps from Red Rubber Designs! 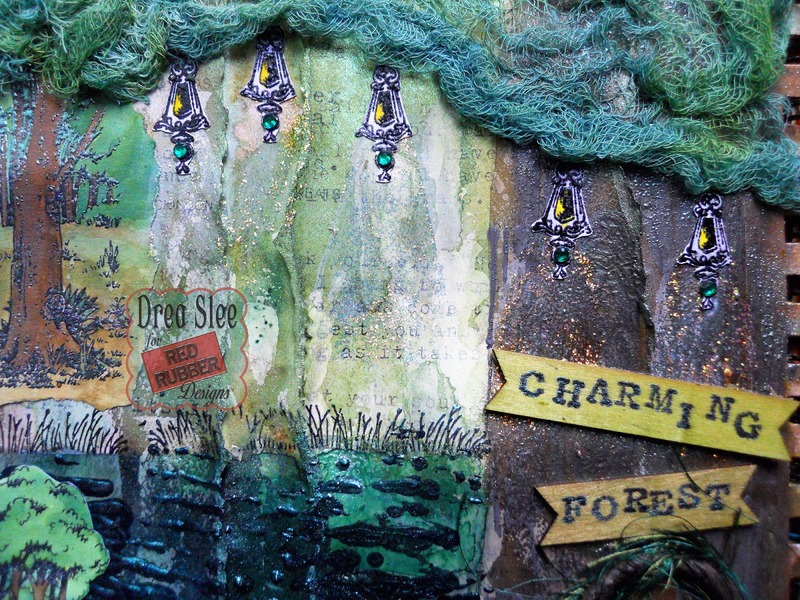 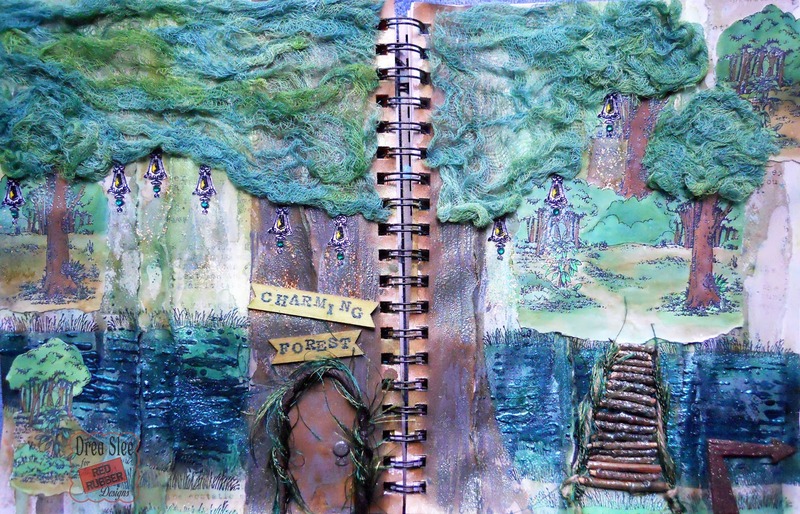 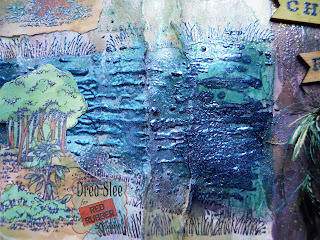 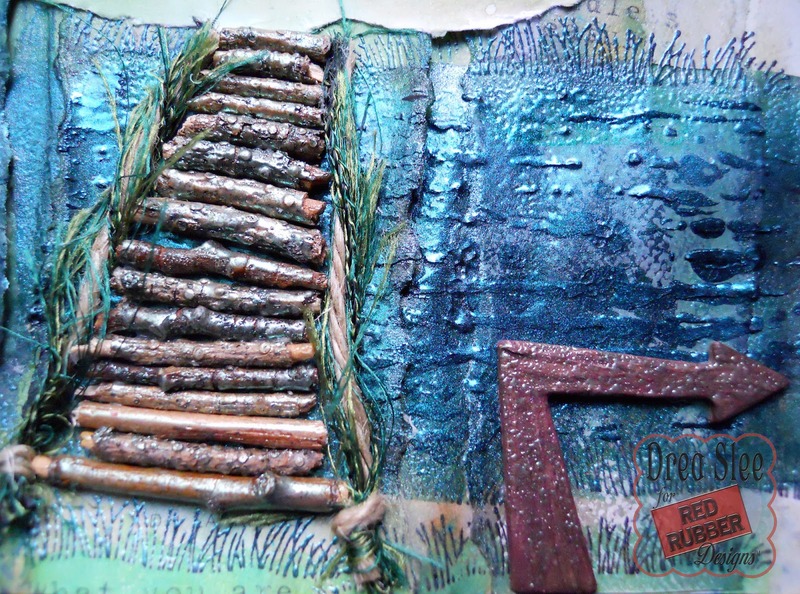 The background was smooshed with Lindy's Sprays (Cathedral Pines Green and Ponderosa Pines Olive). 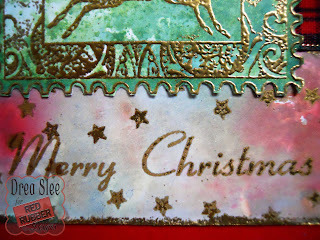 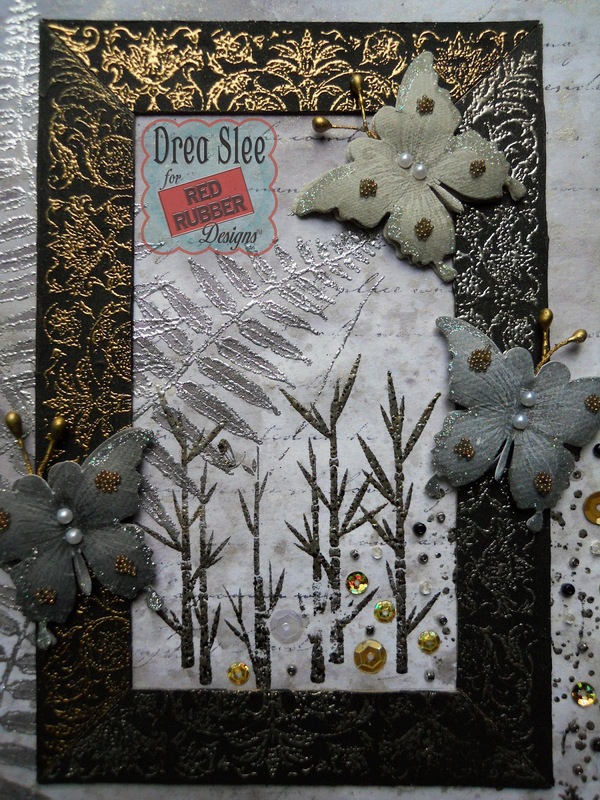 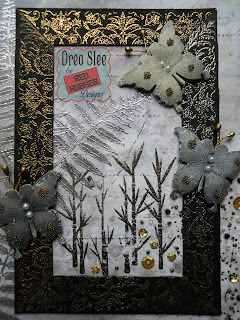 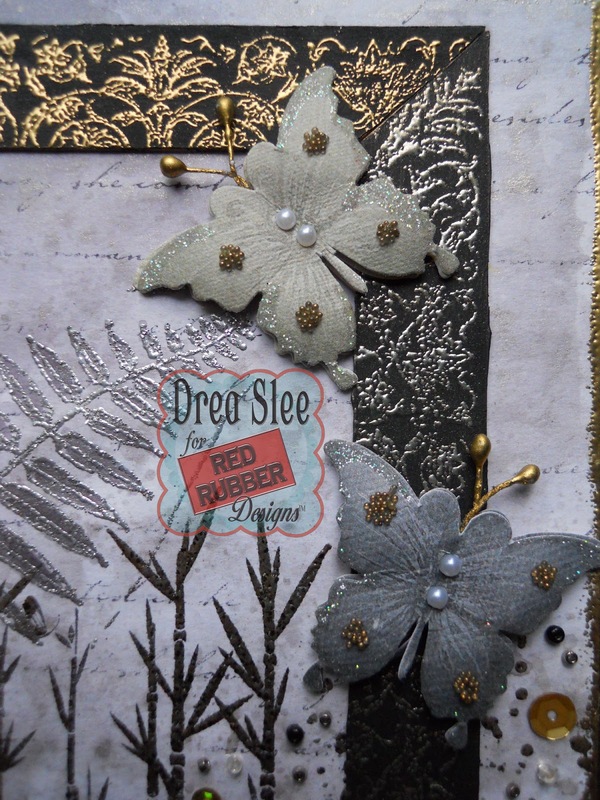 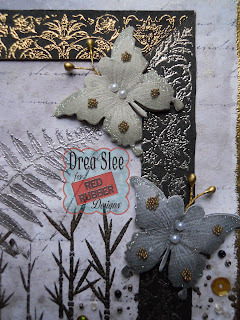 Then I embossed the Holly Swirls with Emerald Creek (Charred Gold) Embossing Powder, also added to the edges. 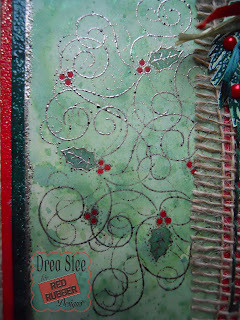 The same Lindy's sprays were used to deepen the color of the leaves, and Distress Spray Stain (Candied Apple) to paint the berries. 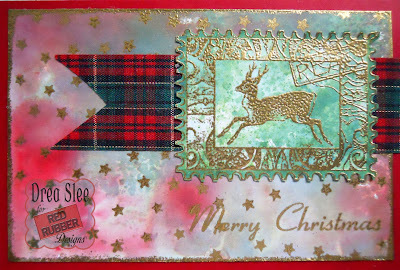 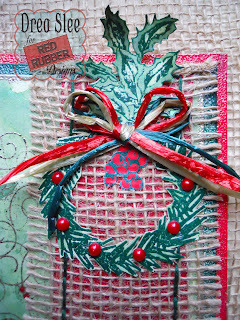 The edges of the red card base were embossed with Emerald Creek (Chinese New Year) EP, also used for the sentiment with the Vintage Santa Stamp. 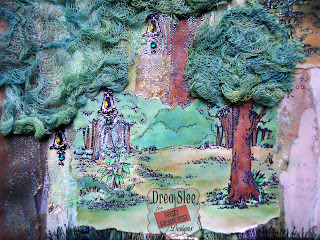 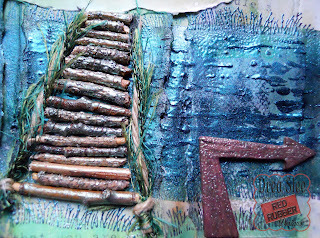 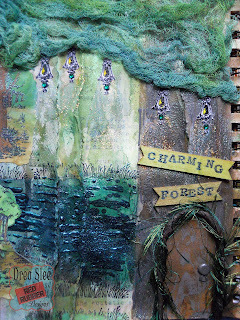 The next layer was embossed onto cream cardstock using Emerald Creek (Topiary Green) EP. 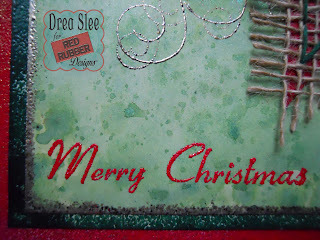 I also used Emerald Creek (Topiary Green) EP to emboss the Holiday Wreath and holly sprig using the Glorious Holiday Stamp. 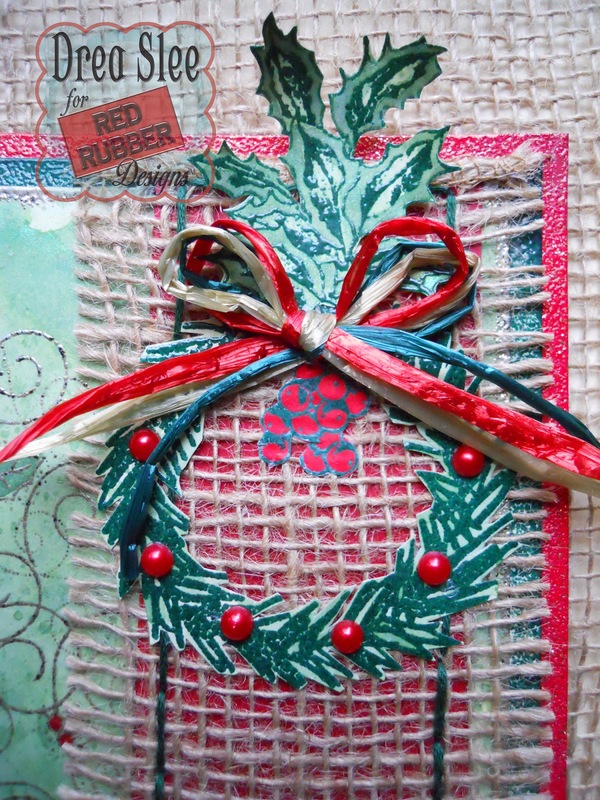 Since the bow I used on my Thanksgiving Card was made with matte raffia, I used a glossy raffia on this one for some holiday shimmer. 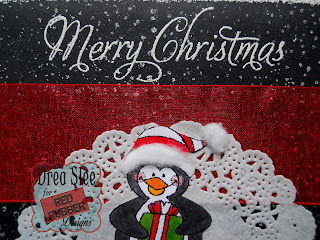 Thanks for your visit, and Merry Christmas to you all! The holiday season is here, and my card featuring the Holiday Collages Cling Mounted Stamp from Red Rubber Designs is all ready to be mailed out! 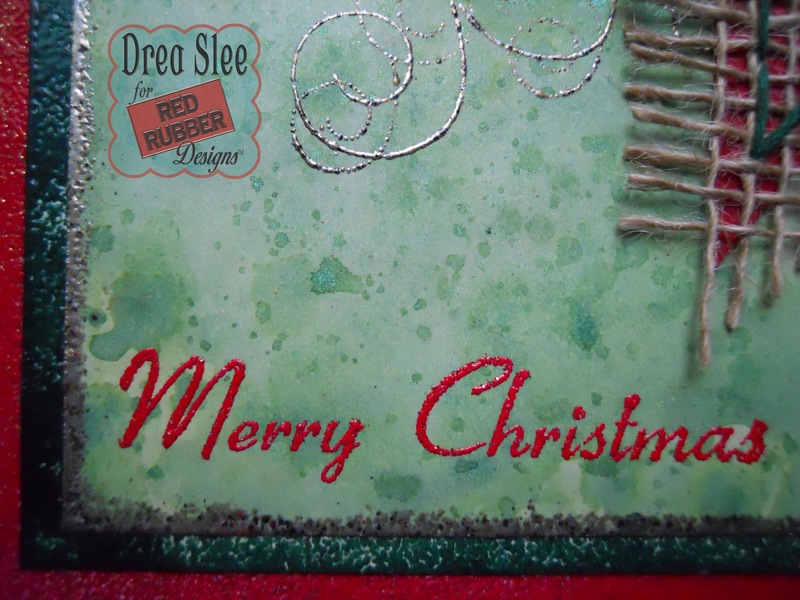 After coloring the background with Lindy's Gang Spray (Cathedral Pines Green) and Distress Spray Stain (Candied Apple), I embossed the stars with the Build-A-Background Stamp. All of the stamping was embossed with Emerald Creek Embossing Powder (Mirror Gold), and the sentiment done with the Vintage Christmas Cling Mounted Stamp. 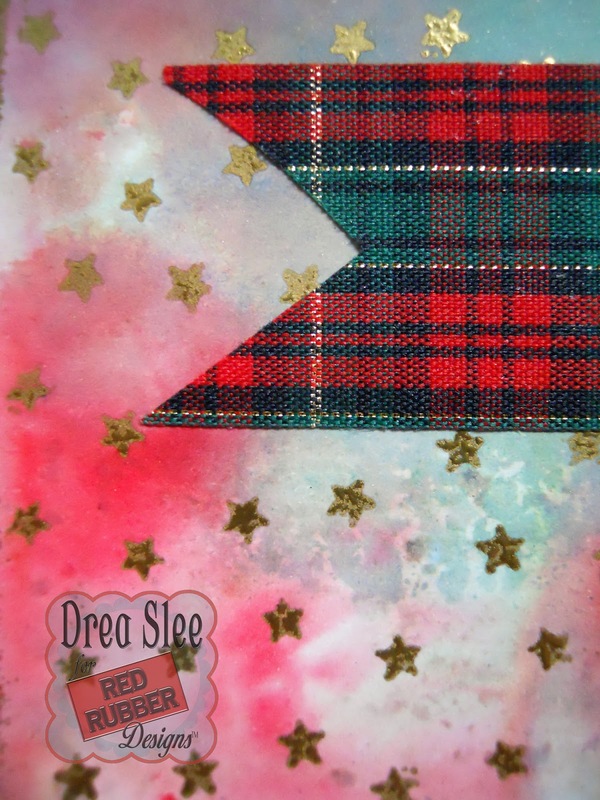 I love how the plaid ribbon ties it all together! 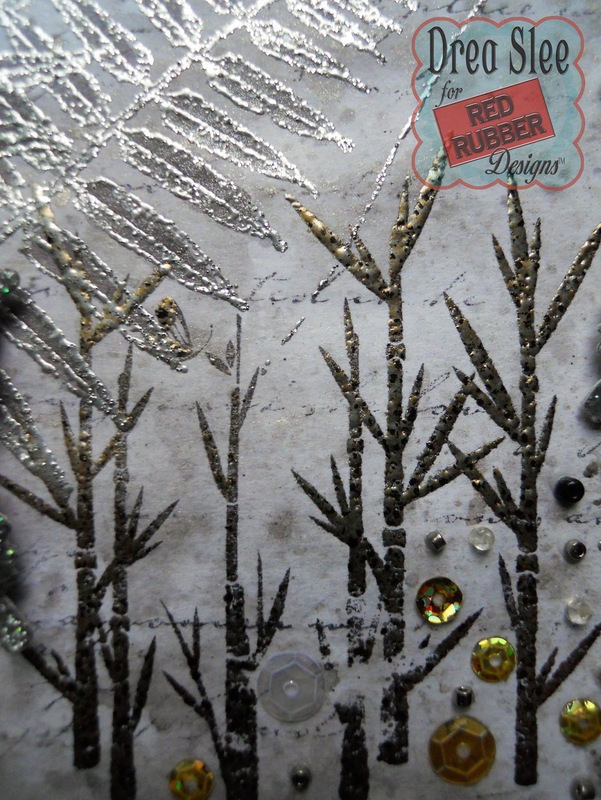 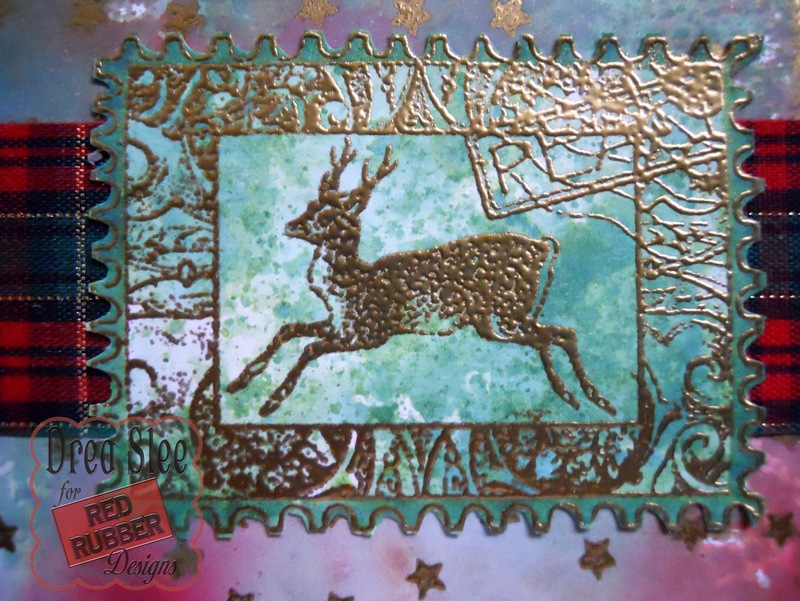 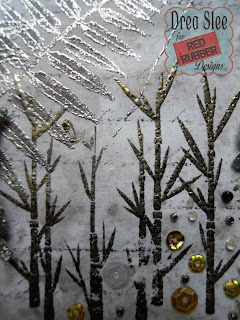 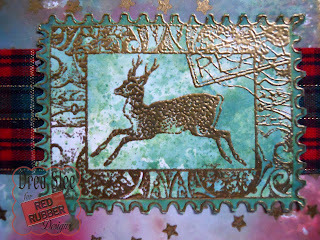 Get these stamps and other Winter & Christmas Stamps at Red Rubber Designs! 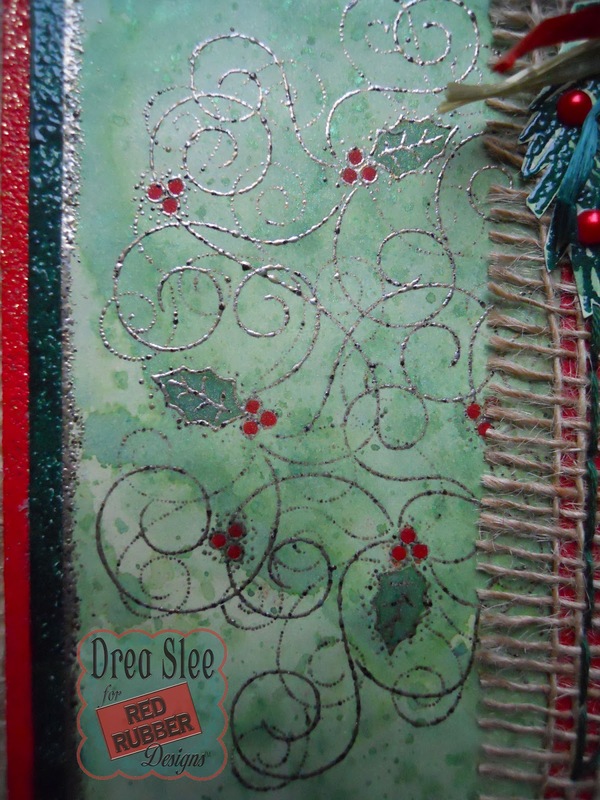 It's definitely beginning to look like Christmas around here, as it's snowing outside as I'm writing this. And where there's snow, there's penguins, on this set of cards, embossed with the Mister Penguin and Perky Penguin Stamps, from Red Rubber Designs! 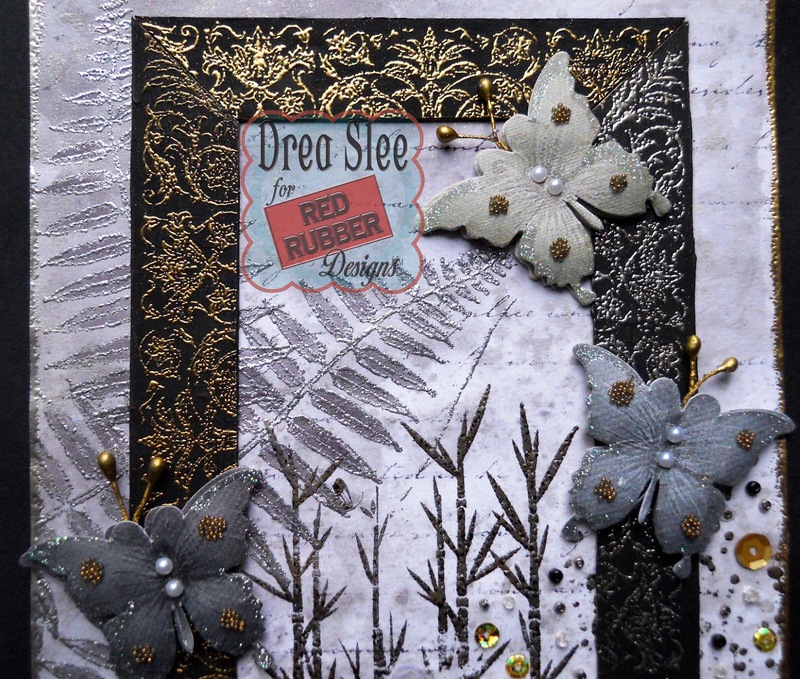 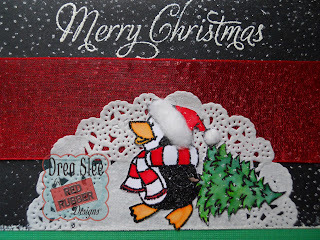 I started by embossing the snow with the Speckle Background Unmounted Rubber Stamp, onto black cardstock, using Emerald Creek (Soft Fallen Snow) Embossing Powder. 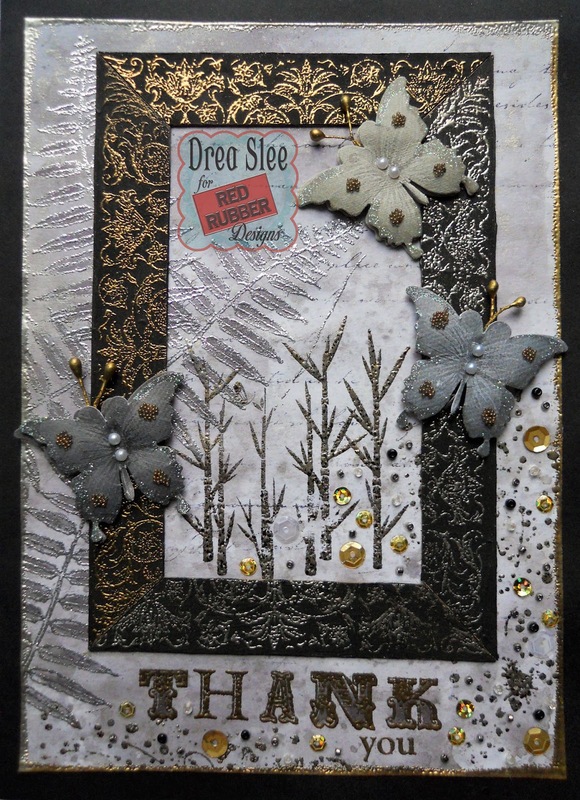 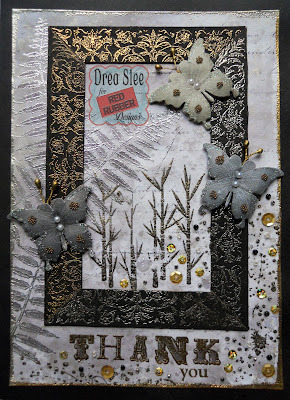 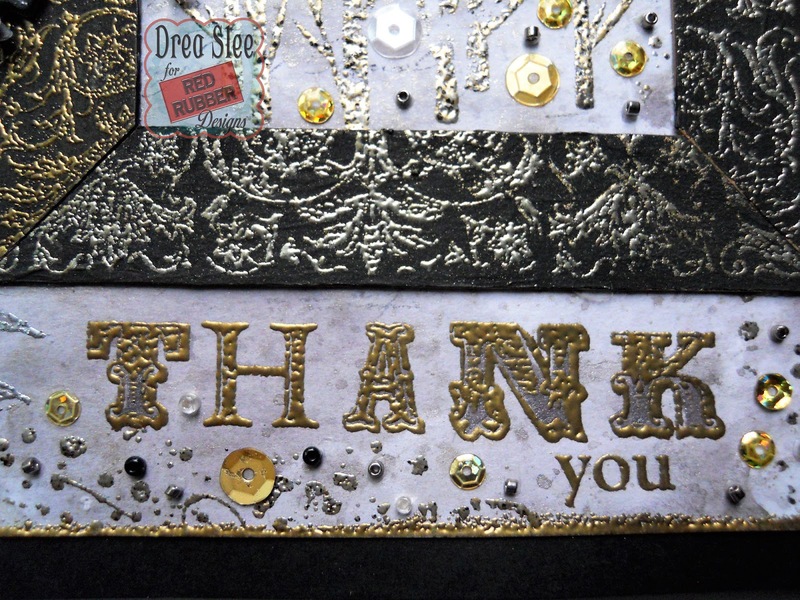 Then I used EC (Enhanced Ivory Pear) around the edges, and for the sentiment, done with the Contemporary Greetings Stamp. 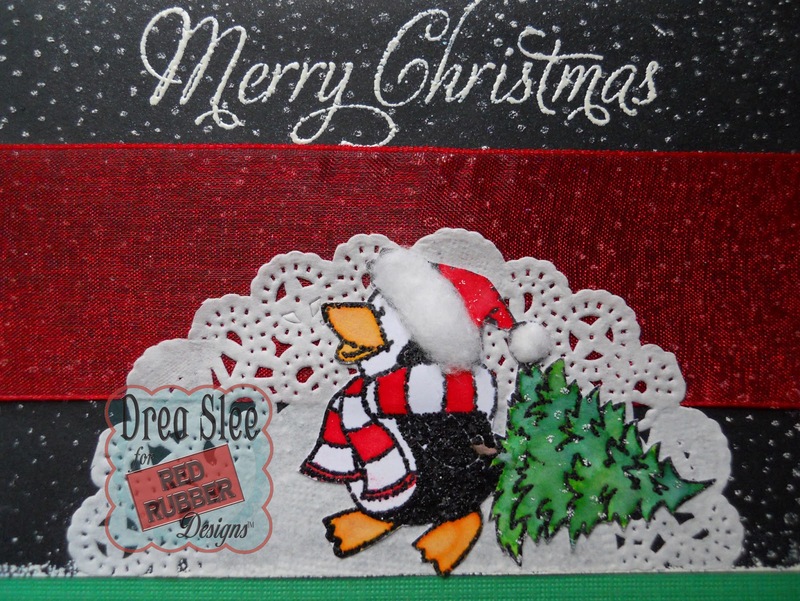 The penguins were stamped with the Mister Penguin and Perky Penguins Unmounted Rubber Stamps, embossed with EC (Onyx Frost) EP. 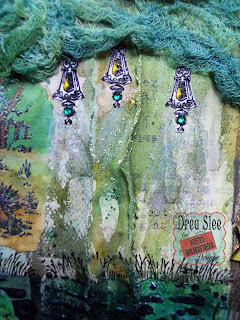 Then I colored them with Distress Inks, and added some cotton to a few of the hats. 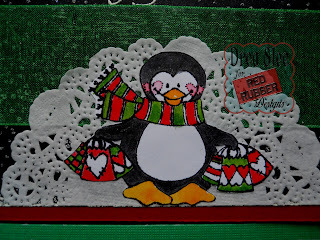 Cutting Bo Bunny Doilies in half, made a quick and easy way to showcase these adorable penguins! 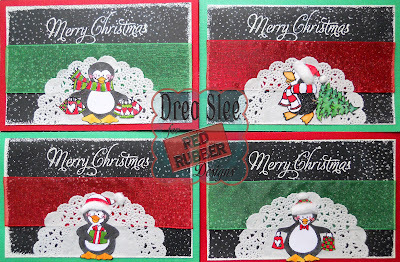 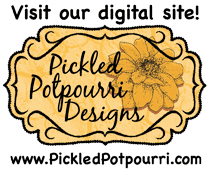 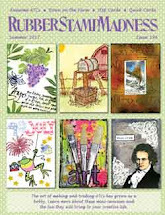 Shop for other Winter & Christmas Stamps at Red Rubber Designs.